Since the 3.1 release of our Remote Control Product it has supported group policy. Supporting is nice, but if there is no way to get to these settings, then it does not exist for the customer. Recently we have been getting requests for a finer level of control over who, and how people can remote into a machine – and a way to lock it down. The group policy method is a great way to do this. You can pick specific users, or groups and grant those groups specific rights, and lock them so they cannot be changed. Lets say I want my entire IT staff to be able to remote into machines, but the accounting departments says no way – not unless the IT staff is forced to ask permission first. 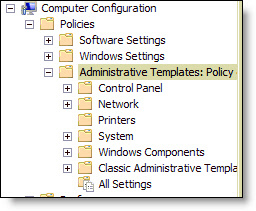 With our group policy administrative template you can do this. 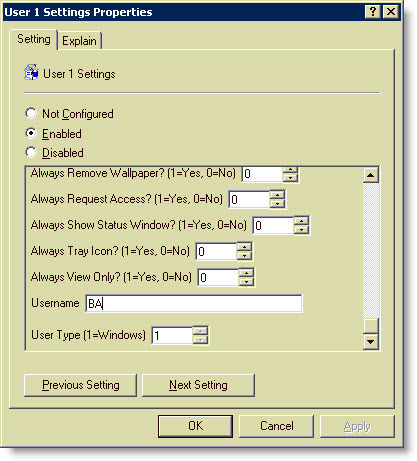 Since it uses group policy, even local administrators cannot override the settings. Now – how do you do it? Save this to the desktop of your domain controller. 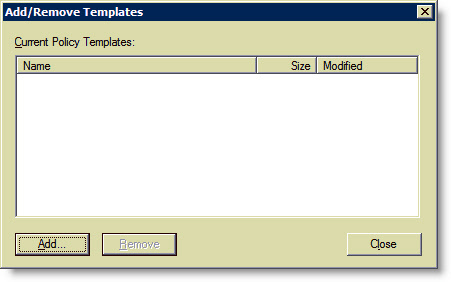 Our next step is to add it to the domain controller’s administrative templates in the group policy object editor. That way you can apply it to any group of machines you want. In our demonstration we will only update the default domain policy – which updates all machines within a domain. If you are running 2003, then the process is slightly more complicated. 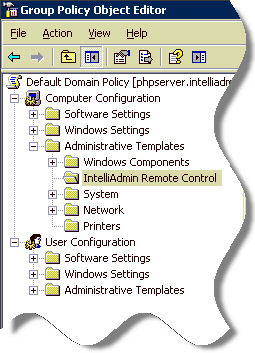 On the domain controller, open Active Directory Users and Computers. 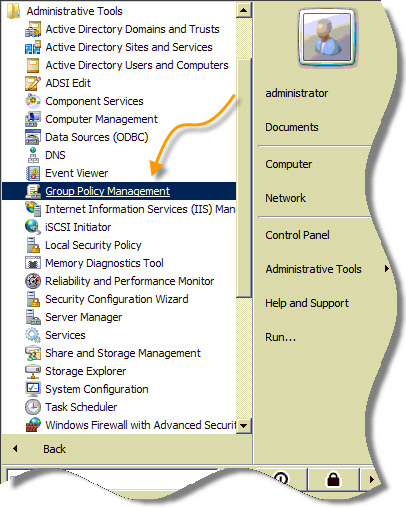 Click Edit, and the group policy management editor is displayed. 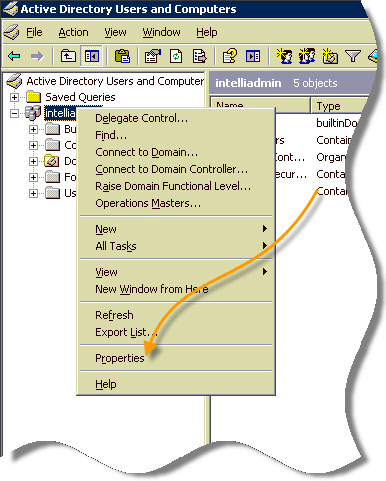 Click Add, and add the IntelliAdmin.adm that you downloaded to the desktop. 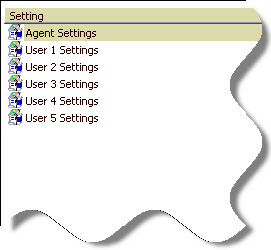 Now that you have changed the default agent settings, how do you add users? 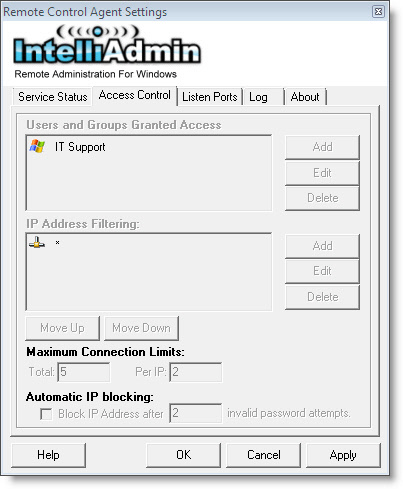 The IntelliAdmin.adm template allows you to configure up to 5 windows users. To add a user, simply double click the user entry and enable it. Always start with User 1, then User 2. 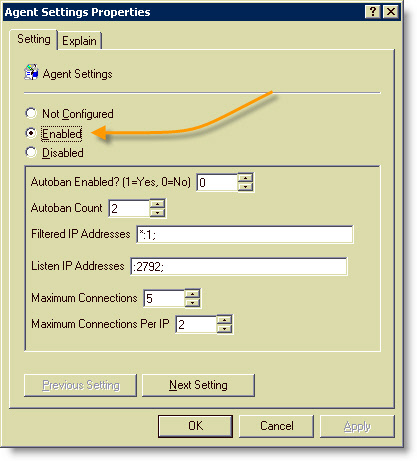 If you skip a user (Like enable User 5 when there is no user 4), then the agent will not properly read it from the registry – so make sure they are enabled in order. If you notice, the default user name is “BA”. What the heck is BA? Well, BA is an internal identifier that windows uses for the Built-in administrators group. This needs to be used instead of “Administrators” since it is possible that a foreign language version of windows will have a different word for “Administrators”. This is what you want to change. You can type in a security group, or a single user name. Then turn on features you want to lock in. In my case I changed the “Always Request Access” to 1, and the group to “IT Support”. Since I only enabled User1, this means that only members of the “IT Support” group can remote into machines, and the agent will ask the end user permission before they can connect. No matter what those IT people do (Short of getting on the DC and removing this policy) they will always have to ask permission.